“The Laguna Recreation Area is a land of contrasts. At nearly 6000 feet above sea level, it has a distinctly mountainous and remote feel to it, but is only an hour drive from the beaches of San Diego. As the Sunrise Highway winds its way through the eastern escarpment of the Laguna Mountains toward the village of Mt. Laguna, views to the east reveal the stark beauty of the desert nearly 4000 feet below, while areas to the west are rolling hills of pine and oak” (Laguna Mountain Visitor Center). 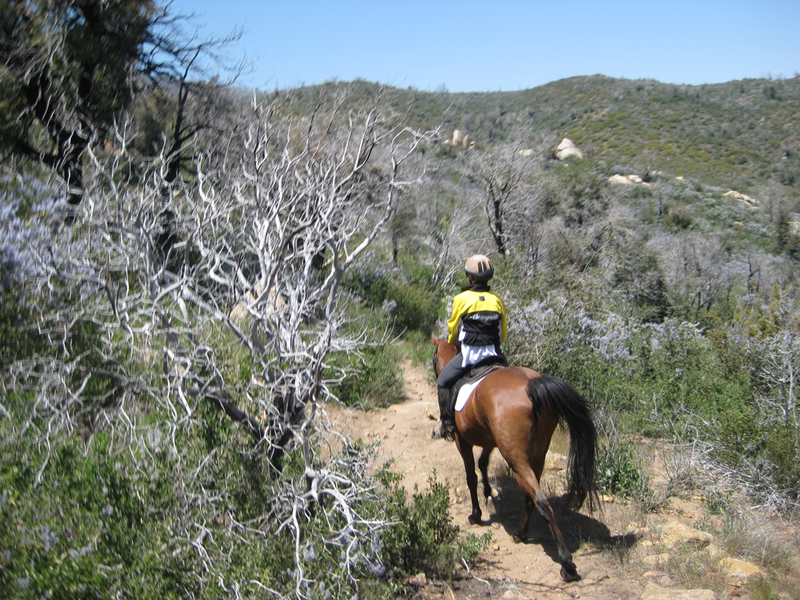 There are many miles of trails which accommodate hikers, bikers, and equestrians. The Laguna Mountain Volunteer Association website has excellent information. 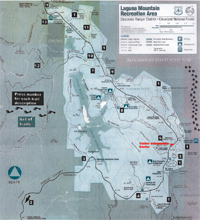 You can download directions to Mount Laguna, trail descriptions and a trail map. Check it out. You can also buy a good trail guide prepared by the Laguna Mountain Volunteer Association at the Visitor Information Center. You also need an Adventure Pass, $5 a day and $30 annual, which you can purchase at the Visitor Information Center or local stores. You do not need to stay on the trails. 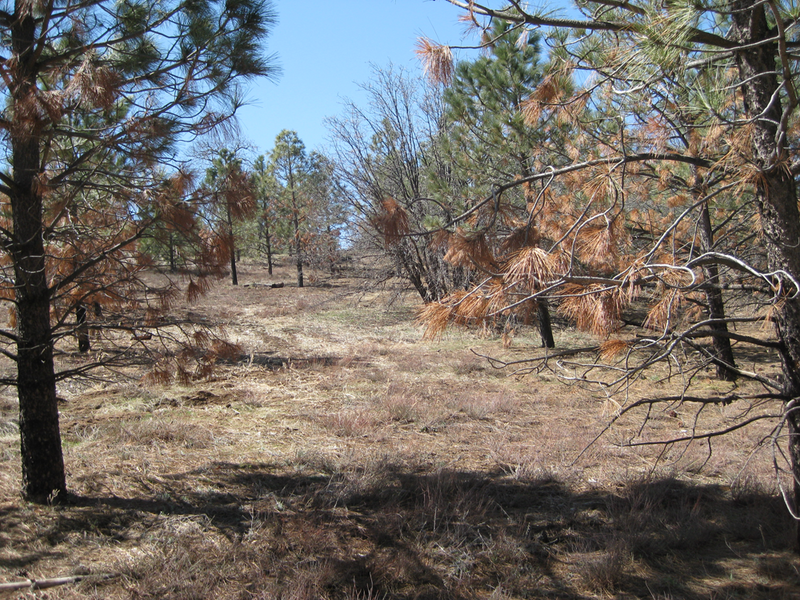 However, the trails are not particularly well marked and there are numerous minor trails off the main trails. The Laguna Mountains are bordered by Sunrise Highway to the east and Highway 79 to the west, but within these boundaries, there are plenty of opportunities to take the wrong trail. I have definitely ridden for 20 miles trying to follow a 10 mile trail! 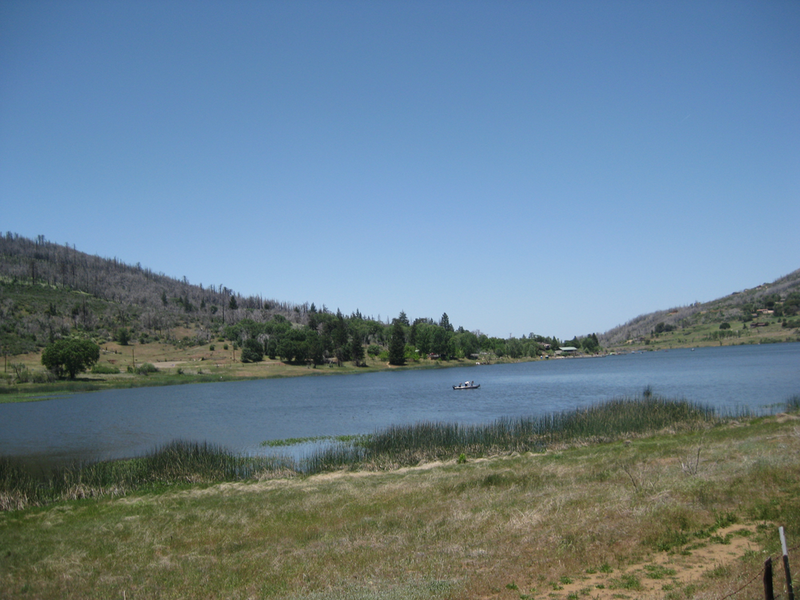 The US Forest Service has current information about the Laguna Mountains, including up to date weather information at. You can also buy topo maps of the Cleveland National Forest off the website. I going to describe the main parking areas, and some trails you can try. For a fuller description of the trails, see lmva.org. There are many more trails. If you have time, email me with your favorite trail and I will update this page. This parking area is located off Wooded Hill Road, after the 21 mile marker, about 2 miles past the Meadows Information Center on Sunrise Highway. The parking area is on the right past the turn off to the Wooded Hills Group Camp. There are restroom facilities and parking for several trucks and trailers. There are signs to the Big Laguna trail from the Agua Dulce Parking area. 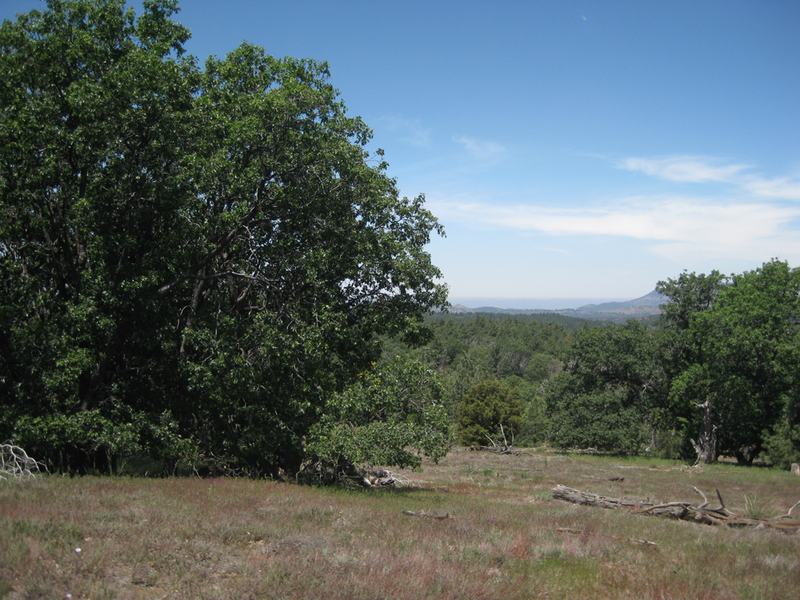 You can do a loop to the Laguna Meadow via the Chico Spur, the Gatos Spur or the Agua Dulce Road. See a description of Wooded Hills Nature Trail, which is a hiking only trail nearby. This parking area is located at the end of Morris Ranch Road past the 21mile marker. Morris Ranch Road is east of Sunrise Highway, about 2 miles past the Meadows Information Center. There is ample parking but no corrals or water for horses. 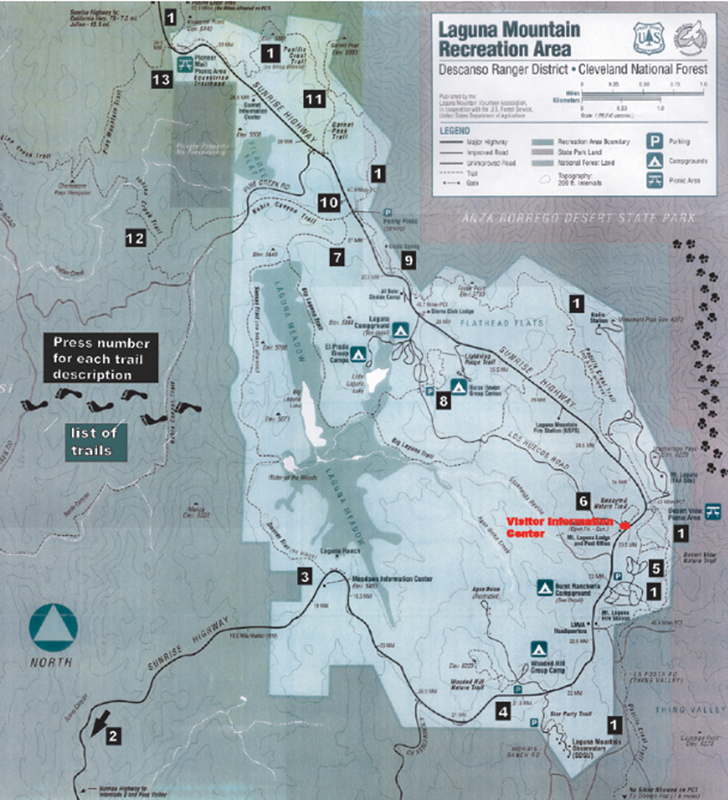 From the parking area, take the trail to the north and follow it to the Pacific Crest trail. This parking area is located on the west side of Sunrise Highway about one mile past Wooded Hills Road, after the 22.5 mile marker. There is ample parking and bathroom facilities, but no corrals or water for horses. 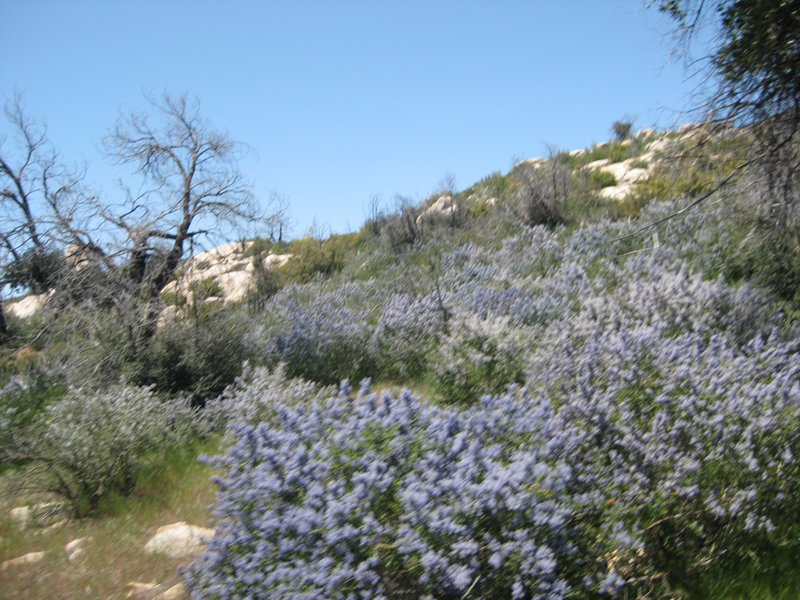 There are trails from the parking lot which lead to the Laguna Meadow via Escondido Ravine and Agua Dulce Creek. Descriptions of two hiking trails in the area. This parking area is located alongside Sunrise Highway after the 27 mile marker. There is parking for several trucks and trailers. On the east side of Sunrise Highway, the trail leads to the Pacific Crest Trail. There are truly magnificent views of the desert along this trail. However, the trail itself is challenging as there are part of it which are narrow with steep drop-offs. It is quite possible to ride this trail, but it is not for the faint of heart! 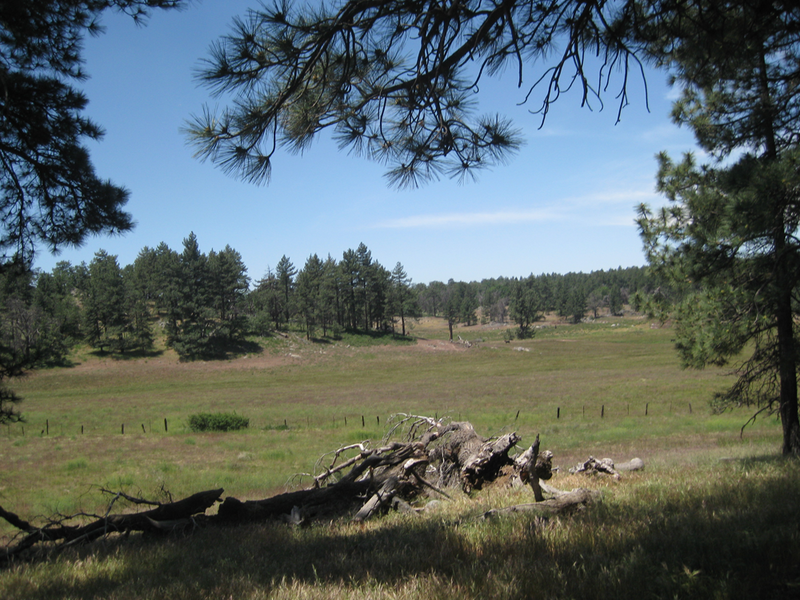 From the west side of Sunrise Highway, you can get to the Big Laguna trail, the Big Laguna Lake and Laguna Meadow, and it is a very nice, easy trail. Or you can take the Noble Canyon Trail, which is a beautiful trail with its challenging moments. Description of trail from Penny Pines to Cuyamaca Sweetwater Bridge. Description of the magnificent view of desert floor from Pacific Crest Trail. Description of Pine Mountain Trail from Pioneer Mail Trailhead at Mile 29.3 on Sunrise Highway.